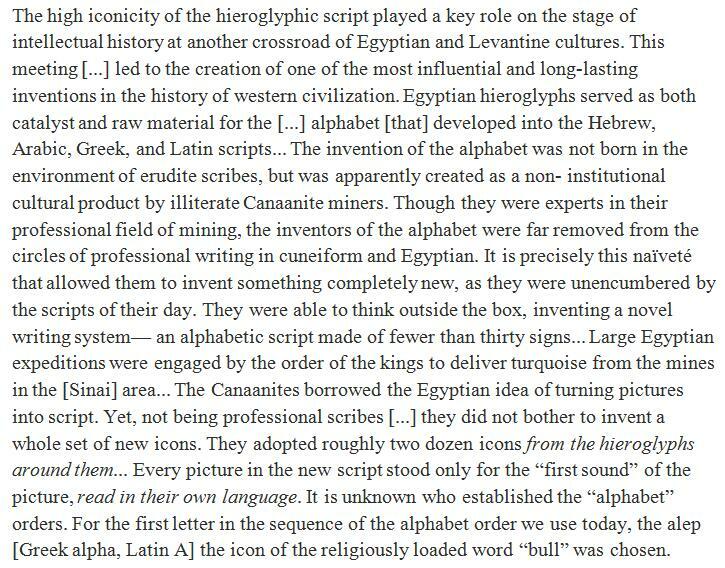 The Flow of Words: Interaction in Writing and Literature during the Bronze Age) and then performed various arcane manipulations to come up with a quotation that blithely bypasses the 140-character limit. My sister spends much of the school year initiating small children into the mysteries of a writing system only loosely connected with how words are pronounced (but is beautifully functional as a mainstay of our new scribal culture) - so lovely to be reminded of how it all began. Engagement with readers, your soon-to-be readers, is key. It’s essential to have some semblance of an organic footprint (via social media, writing and publishing pieces, etc. ), many months—no fewer than eight to twelve—in advance of your book’s publication date. Semblance of an organic footprint. So lovely. Just how much is school going to cost? It sounds straightforward enough. Every university applies outside scholarships their own way. Some have a policy that’s favorable to the student where they create financial aid packages without factoring in outside scholarships. If you attend such a university, you could end up like this student who graduated with $16,000 left over from scholarships, which the university paid out to her after she finished school. It makes for a juicy story, but one you won’t hear too often. Far more common is that the university will use your outside scholarships to reduce your aid package. Terrific piece on financial aid by Melissa Mesku at the Billfold. It would be fatally easy to quote the whole thing, but it's here. If you’ve ever granted permission for a service to use your Twitter, Facebook, or Google account, you’ve used OAuth. This was a radical improvement. It’s easier for users, taking a couple of clicks to authorize accounts, and passwords are never sent insecurely or stored by services who shouldn’t have them. And developers never have to worry about storing or transmitting private passwords. But this convenience creates a new risk. It’s training people not to care. It’s so simple and pervasive that even savvy users have no issue letting dozens of new services access their various accounts. Baid goes (went?) on to talk about the large number of apps to which he has granted access to, among others, his gmail account, and to mention other savvy users (including Anil Dash, now CEO of Foggbugz) who have done the same. “The Vector Wars” as we have started calling them have been raging for 29 years. They will, no doubt, continue to rage for years to come. The demise of FreeHand left a large hole in the market that despite Adobe’s efforts, Illustrator has not been able to fill. Though it should be mentioned that even today, in 2016, FreeHand is still available for purchase at Adobe.com and Adobe still provides technical and customer support, even if they are not updating the code (Note: FreeHand is not compatible with the most recent versions of Mac OS X). This is, we believe, to their credit and rather unprecedented in the software industry to continue to sell and provide support, if not updates for an application that was at end-of-life before Adobe acquired it and has been frozen for nine years. Iconfinder on Affinity Designer (which I discovered because Edward Tufte was asking on Twitter about Affinity Photo) - as part of a comparison of AD, Adobe Illustrator, and Sketch. A reader who has recently moved to Berlin came to dinner and asked why there was not much on the blog lately. I tend to think "writers are fucked" has limited appeal as a recurring theme. My Middle Eastern edition of CS Studio (from the days before Adobe moved to a subscription business model) has gone missing, and was last installed on a laptop that is dead, and if I were to find it I'm guessing it would not be compatible with the latest version of OS X. The same is true of the version of Dreamweaver with which I cobbled together my website (which I can now update by wrangling with raw HTML in Textwrangler, which has, however, been rendered obsolete and replaced by a text editor that does not support my current version of OS X). This is all stupid and boring. I gather Affinity Designer doesn't currently support RTL (right-to-left) text, so it's not the perfect replacement for my CS Studio ME. It does support Japanese. It's available for €49, so it is, at least, affordable even for a writer who spent months fighting off eviction rather than finishing a book. The review of Affinity Designer here. Affinity Photo and Designer (available for Macs & Windows) here. After the settlement failed, Clancy told me that at Google “there was just this air let out of the balloon.” Despite eventually winning Authors Guild v. Google, and having the courts declare that displaying snippets of copyrighted books was fair use, the company all but shut down its scanning operation. James Somers at the Atlantic on Google Books, the whole thing here. What can you say about the movement towards writing in a regional dialect, rather than in Modern Standard Arabic? Is it very common, and has it affected the audience or marketability of the texts in question? What about logistical issues, like accurately representing a spoken dialect in the Arabic alphabet given the presence of non-standard phonemes? This is such a meaty question! We could do a whole interview on this topic. I'll try to hit some of the highlights. [Children's literature] is a thorny issue. Some authors want to write picture books in spoken dialect—and some have, like Sonia Nimr—but publishers tend to be very opposed, as they want to be able to sell into multiple markets and submit to prizes. Unfortunately, this even goes for dialogue. I loved Rania Amin's Screams Behind Doors, which won the Etisalat Prize for best YA novel last November, but it felt weird to have these girls speaking to each other in Modern Standard Arabic. Rania told me she'd written the dialogue in Egyptian, but the publisher “fixed” it, worried they couldn't otherwise submit to prizes and suchlike. A bit galling. Henry Ace Knight interviews Marcia Lynx Qualey, blogger at ArabLit.org ("Arabic literature in English"). The whole interview is terrific, with many new names (to those, anyway, hitherto unfamiliar with ArabLit.org) to follow up. The rest at Asymptote, here. I have not yet renewed my membership of the Staatsbibliothek, but perhaps the Gedenkbibliothek will have Burger even if he is only on the periphery of German-language literature. Rodin, l’exposition du centenaire, dans les galeries nationales du Grand Palais, n’évite pas entièrement l’écueil. Chronologique et thématique, elle constitue sans doute une bonne introduction, un rappel des fondamentaux pour les néophytes. Rigoureuse d’un point de vue académique, pertinente dans sa progression, l’exposition échoue pourtant à recréer la magie qui caractérise l’œuvre rodinienne, ce parfum de scandale et de radicalité. La faute aux lieux, sans doute, ces immenses galeries froides, difficiles à investir quand on est habitué au sublime et intemporel musée Rodin, qui semble pénétré par l’âme de l’artiste. Aucune mention de la réception presque traumatisante de ses premiers chefs-d’œuvre ici exposés, entre incompréhension, malaise et sidération. Ces Bourgeois de Calais qui choquèrent par leurs corps décharnés et misérables, aux antipodes des héros courageux et fiers qu’espéraient ses commanditaires de la municipalité. Ce Balzac qui fit d’abord ricaner, avec sa redingote informe et son aspect massif, presque monstrueux, sans bras ni jambe apparente. Cette Porte de l’Enfer enfin, matrice d’où il tira la plupart des grands motifs de sa carrière à venir, œuvre maudite jamais exposée de son vivant. C’est un Rodin trop propre sur lui, sans porosité, qu’on nous présente ici. Officiel. Yann Perreau at Les Irrockuptibles on the Rodin centenary exhibition, the whole thing here. “Je sais pourquoi mes dessins ont cette intensité (…) déclara Rodin avant de mourir. C’est que je n’interviens pas. Entre la nature et le papier, j’ai supprimé le talent. My collection of the essays of Rodin is unfortunately in storage in New Jersey. Terrific piece in the Economist's 1843 magazine, the whole thing here. Terrific piece by Tim Harford in the FT on The problem with facts. (So terrific it is terrifyingly tempting to purloin the whole text from the FT.) Harford talks about the lessons learnt from the response of the tobacco industry to evidence connecting cigarettes with lung cancer, how frequent attempts to discredit a claim unsupported by facts only make it lodge more firmly in the minds of casual onlookers, how the current obsession with bubbles ignores the fact that very few people read serious news (of any ideological tendency) at all. It's possible that if I checked out the T&Cs I would find a brief quote was acceptable, but sloth prevails. The whole thing here. "Most tech company execs will do anything to keep their engineers happy." Anil Dash is talking about what SF techies could do to stop being hated. I came to AD via Joel Spolsky (whom I have been following for years); Dash is the new CEO of Fog Creek. The idea that companies want to attract and keep good software engineers is a familiar theme in the annals of Spolsky. It's bad and good for me to look over the fence. Not to be unkind, I'd like you to imagine translating this sentence to a different sphere. "Most publishers will do anything to keep their writers happy." Writers sometimes get asked whether someone who wants to be a writer should persevere, and they tend to sound rather curmudgeonly in their replies. It sounds churlish to say something like "If you have to do it, you'll do it. Don't do it if it's not impossible to do anything else." It sounds like the lucky few depressing the aspirations of the young and hopeful. It's not really like that. Writers know they don't live in a world where company execs, or, indeed, the lowliest intern, will do anything to keep writers happy. They don't even live in a world where agents, or, indeed, the lowliest intern, will do anything to keep writers happy. So they live in a world where the odds are heavily stacked against doing their best work, and actually, if you have a choice, you're probably better off being a dev. It's not that devs don't live in a world where people drive them crazy. Recruiters drive them crazy. Management drives them crazy. Open plan offices drive them crazy. People calling them on the PHONE drive them crazy. They may be required to write code in PHP when every fiber of their being revolts. (There are many languages which may prompt every fiber of their being to revolt.) But -- well, for example, they are not asked to wait months for a program to be debugged by someone who is not a programmer. I was probably going to say more, but I think I'll stop now.